“Those who do not learn from history are doomed to repeat it.” This quote is most likely due to a writer and philosopher named George Santayana, and in its original form it read, “Those who cannot remember the past are condemned to repeat it.” From what I found on Santayana, he was known for aphorisms, and for being a professor in philosophy at Harvard which he abandoned. Prior to that, Santayana attended Boston Latin School and Harvard College, where he studied under the philosophers William James and Josiah Royce. According to Santayana’s philosophy, history repeats itself. The phrasing itself certainly is catchy. It’s a big one, not only because it is so common, but also because if it is true and if history is driven by human nature, then this saying ought to guide our public and private policy. The difficulty however is what happens when we are taught a false history and something that is filled with anti-Semitism and hatred? In the book “The Story of Civilization: Caesar and Christ,” by Will Durant, MJF Books 1944, pg 603, he wrote “Greek Christianity in particular was destined to a flood of heresies by the metaphysical and argumentative habits of the Greek mind. Christianity can be understood only in the perspective of these heresies, for even in defeating them it took something of their color and form.” How it really went down historically is related to what they don’t teach you in ‘church history class.’ This can have profound ramifications in relation to what we have been taught effects the nature of reality and our understanding of Scripture and especially the early church. That quote about knowing history or being doomed to repeat it, is a very important point as we see today the history books being rewritten in our public schools on issues such as the Civil war, the Revolutionary war, World War 1 and World War 2, etc. The important verses to pay careful attention to are found in Acts 15:5 and 15:21. What is interesting is how the Pharisees speak about Gentile inclusion that the new believers must be circumcised (למול) and then instructed to keep (לשמר) the Torat Moshe (תורת משה, instruction/Torah of Moshe). The Apostle James however rephrases this saying, Moshe medorot (משה מדרת), Moshe was preached or has been taught from ancient times. The differences between these two claims regarding God’s Torah is in relation to Rabbinic Judaism and the Written Torah (Five books of Moshe). Rabbinic Judaism is the only branch of Judaism that survived the war with Rome that officially ended in 136 CE. It survived because of its adaptability and because its leaders were averse to flatter the Romans if necessary. Rabbi Yochanan, who was leader of the Sanhedrin at the time of the destruction of Jerusalem, managed to escape the city by playing up to Titus and applying some messianic prophecies to him. The concept of “Rabbinic Judaism” is a religion based upon a framework of interpretation of the religious text handed down to the Jewish people over the generations. That is, it is based on הלכה halachah, the system of legal interpretation of the Torah. The halachah is essentially codified in the body of the Talmud (a set of books consisting of the משנה Mishnah (the Oral Torah) and the גמרא Gemara (a set of commentaries on the Mishnah’s text), Rashi, and the Tosefta. There are two versions of the Talmud, one that was preserved by the great rabbis of Babylonia and one that was preserved by the rabbis of the land of Israel. The Babylonian Talmud has the greatest weight in all Jewish discussion of the Torah’s proper interpretation. There are more recent works on halachah that have gained support in major circles of Jewish believers. The most prominent are the משנה תורה Mishneh Torah written by Rabbi Moshe ben Maimon and the שולחן ערוך Shulchan Aruch by Yosef Karo. Some communities use only the former as their halachic guide, and the majority of the Orthodox world use Shulchan Aruch. Keeping this in mind, Rabbinic Judaism refers to all branches of Judaism that interpret the Torah through the Rabbinic guidelines and by referring to the writings of the great rabbis, both of the time of the Mishnah (and considering also in the time of Yeshua and the disciples) and all the way until today. There is often a system of authority in place for religious communities, where people are encouraged to consult the rabbis to get the proper interpretation of a passage rather than trying to come up with their own meaning from the text. It is within this sense, that we find the people convening the Jerusalem counsel and asking about Gentile inclusion. This background information helps us to understand that when the Pharisees said the new believers must be circumcised (למול) and then instructed to keep (לשמר) the Torat Moshe (תורת משה, instruction/Torah of Moshe) they were referring to the interpretive hermeneutic of understanding the Torah through the Rabbinic guidelines and by referring to the writings of the great rabbis (the Mishnah at that time) that one needed to be circumcised in obedience to the Torah in order to be saved. This system of interpretation based upon the rabbinic rulings (Halachah) on the Torah they were essentially calling for gentile conversion to become Jews and to obey the rabbinic teachings which Peter calls a Yoke both they and their fathers found very difficult to bear. The Apostle James on the other hand rephrases this saying, Moshe medorot (משה מדרת), speaking of Moshe being preached or having been taught from ancient times. The differences between these two claims regarding God’s Torah is in relation to Rabbinic Judaism as a system of interpretation and the Written Torah (Five books of Moshe). James gives a ruling on 5 things the gentiles are to obey, and that the Torah is being taught every Shabbat so they will learn and grow in their faith and obedience to God’s Word. This is a textual-critical approach to the history and development of the Scriptures and of Judaism at the time. 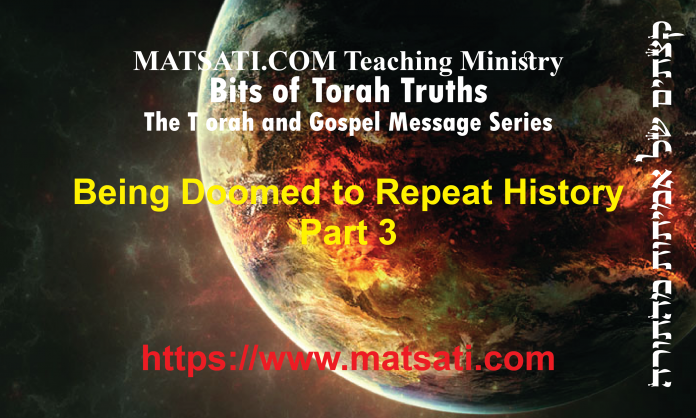 However, history did not allow for a Torah observant gentile and had become confused over the words of the Pharisees, Peter, and James in regards to Rabbinic Judaism and the Torah of God. Modern theologies today teach that the Jerusalem counsel had done away with the Torah for the gentiles and thus developing a bilateral ecclesiology where the Jews were required to obey the Torah and the gentiles were not. Following the Resurrection of Yeshua the Messiah, the belief and faith in the Messiah reached out to the gentile world through the teachings of Paul, in accordance with other messianic teachings of contemporary Judaism. Gentiles were drawn to the God of Israel and His Torah and would begin learning from these Jews who remained within the synagogue system just as James is claiming in Acts 15:21. The leadership of the Nazarenes, realized there were going to be issues related to this “accelerated process” of Gentile inclusion and so James laid down some basic initial rules for the gentiles to follow in order not to cause disruption and disrespect to the Name of God as found in Acts 15:22-35. Considering the time following Yeshua’s death and resurrection, things continued as normal in the manner through the first Roman-Jewish war and destruction of the Temple (68-70 CE). Up until that point, Jews were allowed to freely practice their religion under Caesar’s laws of collegia. (He respected the Jewish faith in terms of it pre-existing Roman ideology.) Following the destruction of the Temple in Jerusalem, the level of anti-Semitism greatly increased. Still, Judaism continued without its temple through the synagogue system and the Nazarenes continued their message and bringing gentiles into the faith of Israel and joined in the synagogue services. The growing Church went on to gain support from some of the finest minds in the Empire. Ignatius, Bishop of Antioch, began the powerful dynasty of the post-apostolic “Fathers” who brought a philosophy to Christianity, and over whelmed its enemies with argument. He was condemned to be thrown to the beasts for refusing to abjure his faith (108 CE). Twenty years later Irenaeus, Bishop of Lyons, struck a powerful blow for the unity of the Church in his Adversus Haereses, a blast at all the heretics. The only way of preventing Christianity from disintegrating into a thousand sects, said Irenaeus, was for all Christians to accept humbly one doctrinal authority, the decrees of the episcopal councils of the Church. Then came 132 CE and the second Roman-Jewish war. Jerusalem was plowed under by the Romans and renamed Aelia Capitolina. Shrines to the Roman gods, Jupiter and Venus, were erected. Rome went on to wipe out most of Judea, destroying nearly 1000 towns and killing over a half million Jewish men. Even more died later from starvation, disease and fire bringing the total to closer to a million. It is at this point when everything “changed overnight” for Jews and gentiles who lived a form of Judaism having faith in Yeshua as the Messiah of God. Rome went on to pass harsh laws banning all forms of Judaism, Torah teaching and practice. The remaining gentiles of the Nazarene Yeshua movement, who were very new in their understanding of things, were left with no leadership and were immediately flooded with anti-Semitic, pagan Roman elements who reinterpreted all the teachings of Yeshua and his disciples from their context (Judaism), initiating every form of foreign and contradictory doctrine. As early as the year 187 CE, the Christian Bishop Iraneus counted twenty different varieties of Christianity. By the year 384 CE, Epiphanius counted eighty. (“The Story of Civilization: Caesar and Christ,” by Will Durant, MJF Books 1944, Simon and Schuster, New York, p. 616.) It was also within this time we find the Birkat haMinim (ברכת המינים “Blessing on the heretics”) as being added to the daily prayer in the synagogue which is a Jewish curse on heretics (minim, those of the faith). Modern scholarship has generally evaluated that the Birkat haMinim probably did originally include Jewish Christians before Christianity became markedly a gentile religion. It is the 12th of the Eighteen Benedictions in the Amidah. The writing of the benediction is attributed to Shmuel ha-Katan (Samuel the small) at the Council of Jamnia which was inserted in the “Eighteen Benedictions” as the 19th blessing in the silent prayer to be said 3 times daily. The benediction is thus seen as causing the minim (the faithful), those who believed in Yeshua as the Messiah of God and who remained in the synagogue as a part of Judaism, to leave Judaism. This led to a further split of early Christianity and Judaism where Christianity was now considered a heresy in Judaism. This was used as a tool for outing the minim, because no min (faithful one) would recite aloud or reply amen to it, as it was a curse upon the minim (the followers of the way). The events of this time (132 CE) mark the clear separation from Torah Judaism to a paganized religion and foundation of what later became called “Christianity” which was first dominated by the “catholic” (universal) church and later all forms of protestant groups. What these things teach us is that the History we are taught shapes our presuppositions and philosophical beliefs that we hold on to and these are the things that shape our perception of reality. This leads to the questions we ask about life and spiritual matters, and the questions we ask are shaped by the assumptions, the expectations of the hypothesis and theories we embrace and ultimately the theologies and doctrines we hold onto. The idea of coming to the truth is a universal principle and the reason there is so much variation in biblical interpretation because everyone is trying to come to (determine) the truth. The difficulty however is to find a set of assumptions that we can all agree upon that leads to the correct conclusions. If we are taught a half truth, we may never come to the understanding of what God wants for us in our lives according to His Holy Word. Based upon a historical understanding of the early Church it is possible to see how Yeshua, the disciples, and the early believers held on to a Torah centric hermeneutic when exercising biblical interpretation. Two thousand years later, we too should be taking this method of interpretation. It provides a stability in doctrine and truth that will shape our perception of reality as we apply God’s Word to our lives for His Glory! 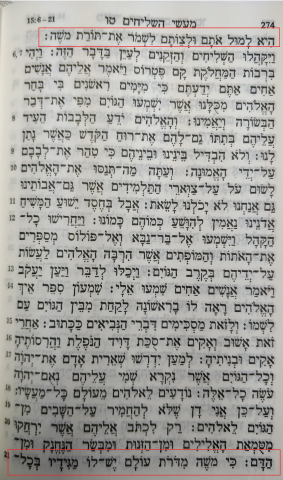 Parashat Metzora, Tsaraat (skin disease) and our need for a Savior.